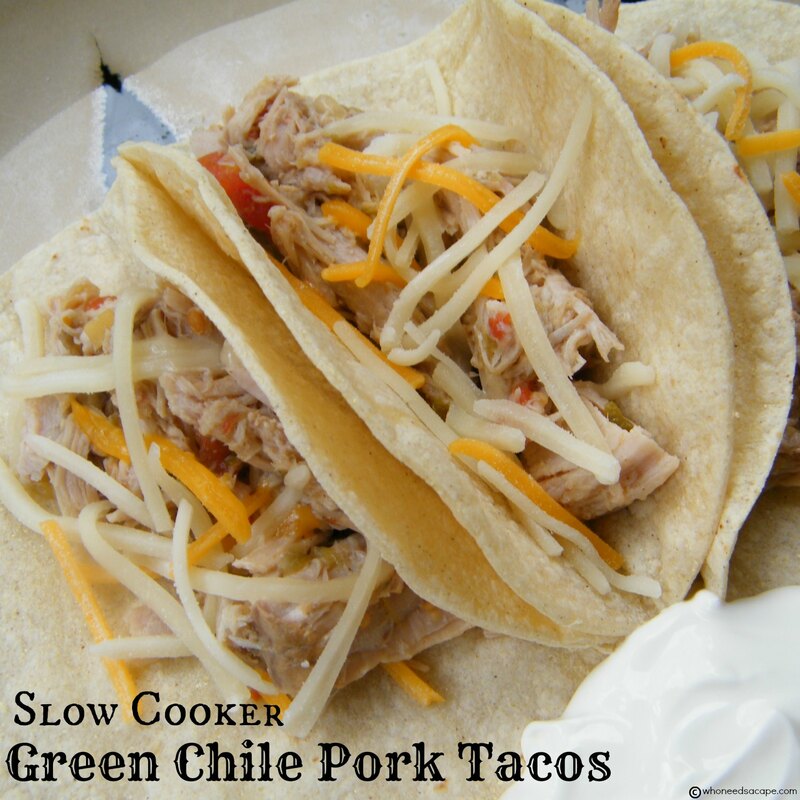 These Slow Cooker Green Chile Pork Tacos are a family favorite! 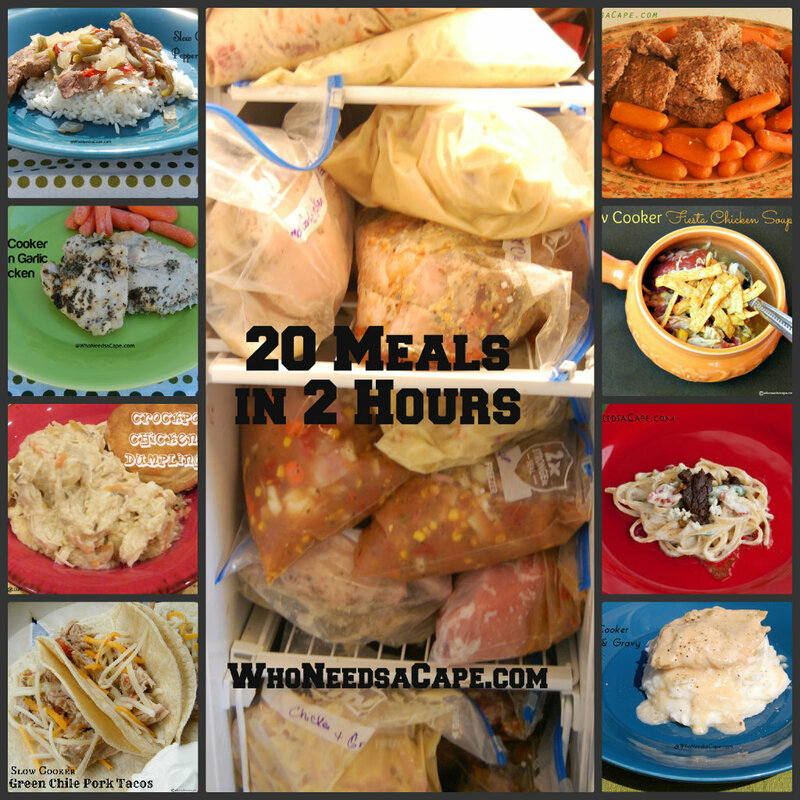 Easy to prepare in your slow cooker! Leftovers can be used for nachos or burritos too. I’ve said it before, I LOVE LOVE LOVE Mexican food! So what could be better than putting your slow cooker to work and smelling this deliciousness cooking away all day? Not much in my opinion! These pork tacos are not spicy, if you’d like to ramp up the spice factor, add in some cayenne or Tabasco sauce. If you prefer you can also forego the tortillas and serve the pork on its own with a side of Spanish Rice or Roasted Corn Salsa. Since this recipe does make a large batch (which works well for my family) you can certainly cook a smaller sized pork loin, but let me tell you the leftovers are so good! Place pork loin in bottom of slow cooker. With a fork jab top of meat every inch or so. Add all remaining ingredients and cover with lid. Cook on low for 6-8 hours depending on your slow cooker. Add pork back into slow cooker and stir to combine. Serve with tortillas, sour cream and shredded cheese. These look so yummy! 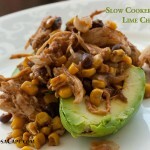 I just love easy Mexican crock pot recipes. I’m really into salsa verde these days too. I’m looking forward to giving these a try! Thanks for sharing! Oh this looks so good. I love Mexican food. Will have to try these. Pinning for later! Thanks for sharing! This looks like a recipe I can use at our next family gathering. Yep, I think so. 🙂 Oh, I came via Marvelous Mondays Link up. 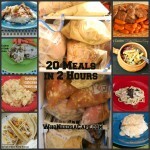 Thanks so much for sharing this great slow cooker recipe at the In and Out of the Kitchen Link Party. 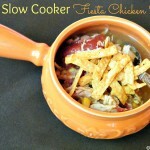 I love using my slow cooker and I love mexican food! 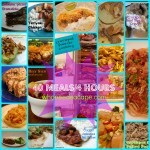 I have chosen your recipe to be in the Top 10 Favorites post that goes live on Monday morning. Thanks again! Was bummed when I lost. a copy of a similar recipe – I can’t wait to try it. Will probably try my conversion trick for leftovers, too — add chicken broth (amount based on how much pork you have leftover) and canned white beans (cannellini or such) for a yummy soup! These are SOOO Good!! 4lbs makes a Lot! Made these for my college son – froze and sent in a crockpot liner. He loved them and didn’t have to reseason. We kept about a pound here and cooked today – they were great in a tortilla with just sour cream and some hot salsa (we like spicy). Will def make again! Glad to hear he enjoyed! I just thawed some I froze last week & we ate it over rice, it was perfect! Is it possible to cook this frozen or does it need to be thawed prior to throwin it in crock pot? lol probably a dumb question but just starting out this whole frozen freezer bag cooking thing…i ususally just make all my crock pot stuff early morning, but now that i have a litle one, its a struggle to get to work and daycare in the morning…haha let alone getting a crock pot meal ready in the morning before work…haha, thanks in advance! I would suggest taking it out of the freezer the night before, letting it thaw in the refrigerator & then dumping contents into your slow cooker in the morning! Mornings are a challenge aren’t they? I have made this at least twice now and absolutely love it. It does make a lot so I get to eat it for days and I’m totally.fine with that. I’m putting it on my list for this weekend. Would you happen to have nutritional info? Or dredging sizes and how many servings it makes? I could probably figure it out on my own, but I thought if you had it handy…maybe I’m overlooking it here? Anyway, thanks for this easy and amazing recipe! Hi Emily, glad you enjoy this as much as we do at our house. A partner site has the nutritional information listed, the link is below. Thanks for stopping over! 2 questions. If I wanted to forgo the squeezing about how much lime juice would I need? Next after shredding is there any extra cook time. Sorry if you already answered elsewhere. Looking forward to trying!!!! April, I would guesstimate maybe 2-3 tablespoons of lime juice. 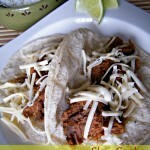 I used 2 tablespoons in the Slow Cooker Mexican-Style Shredded Beef. And at the point you are shredding the pork there is no additional cooking time required. Enjoy! After shredding, I would recommend letting it ‘rest’ in the liquid for 10 minutes or so. It helps the pprl absorb the flavors more, as well as moisten it. I made these tonight and they were a HIT! They are so juicy and flavorful, I could just eat the meat all by itself. This is now firmly ensconced in my go to slow cooker meals. Thanks!! So glad to hear you enjoyed this dish Jade! My family LOVED this! We don’t eat pork so sub’d with a beef roast and turned out great! Mmmm, my brain can almost taste these tacos. Thanks so much for sharing with us at Simple Supper Tuesday. I’m thinking of making my own food for my (very intimate) wedding reception. I will have 20 people. How much pork would I need? Also, could I make these ahead of time and freeze them? If so, how would you suggest re-heating them? My toddler and I love this recipe! However I originally made it with 4 pounds and it lasted FOREVER (I even froze some). . I’m making this again today but cutting the recipe in half.